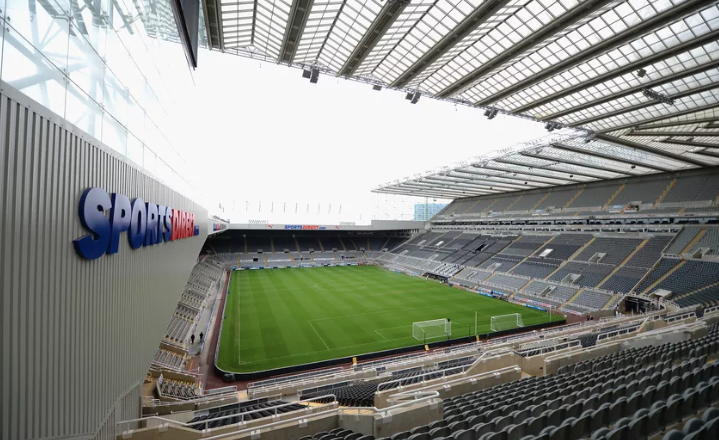 ‘As other clubs steal a march, we have a giant bit of wallpaper covering the inadequacy..’ – NUFC blog – Newcastle United blog – NUFC Fixtures, News and Forum. Tottenham moved to their new stadium during last week, securing a 2-0 win over Palace in their first game at the new ground and keeping their top-four hopes alive. Alan Shearer believes their new stadium could push them beyond the finishing line. “It looked absolutely magnificent the opening ceremony, the fireworks and the way they did it all, all the fans were in there nice and early before the game to admire their new surrounding, their new home, and it was a great night for them,” the former Newcastle United striker told Coral of Spurs’ new stadium. A giant surfer flag certainly isn’t the answer, the self delusion and pretence of some fans to normalise the Ashley regime is as idiotic as the notion that Mike Ashley is a blip in history. Gallowgate Flags are a welcome distraction for a few moments before a game but are making up for the deficiencies, in the dream that was sold by willingly putting on a futile show for the cameras and themselves. As other clubs have stolen a march over the dozen years, we have a giant bit of wallpaper covering the inadequacy, the gradual downsizing operation, the micro-mis-management, the downright malevolencies. It isn’t the answer…. its a big flag. Where is the alternative voice to acceptance of failure? it certainly isn’t in the local media. When the large flag gathers dust in the bowels of the Stadium maybe it’ll be forgotten until found in two hundred years time, under the cobwebs and waste in a student car park by some curious archaeologist unfurling the monster and wondering what exactly Newcastle United was…. maybe this is its shroud.